Now, for something I think a few people may have been waiting for... 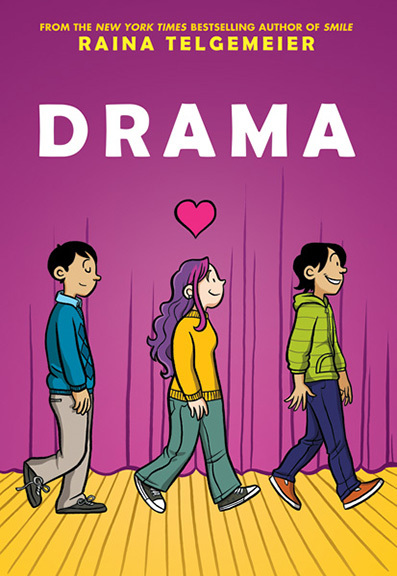 THE COVER OF DRAMA! I should be able to post a full book description soon, once the Scholastic Fall catalog drops. I'll be doing a huge wave of touring and promotion starting this spring, so keep your eyes on my events calendar (to the right of this blog) to see if I'll be coming to a town near you! In just a couple of weeks I'll be in the San Francisco Bay Area for some school and library events, plus a few bookstore signings and a workshop at the Charles M. Schulz Museum. Full post with all the information is coming soon. I can't wait. 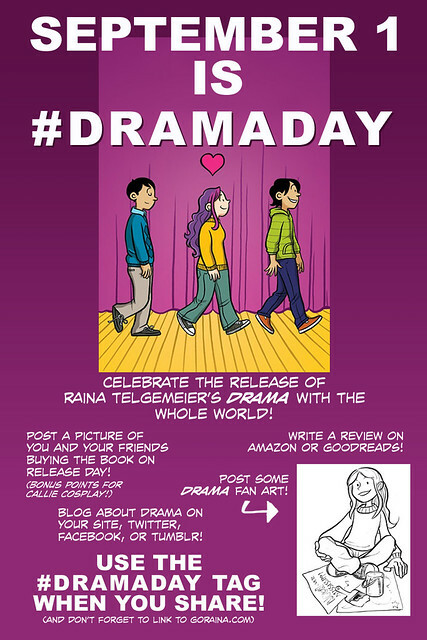 In the meantime, thanks for your patience as I finish up the production work on Drama. I'll have more exciting work-related news in the near future--never a dull moment here in my studio!